Is it cocktail hour yet? 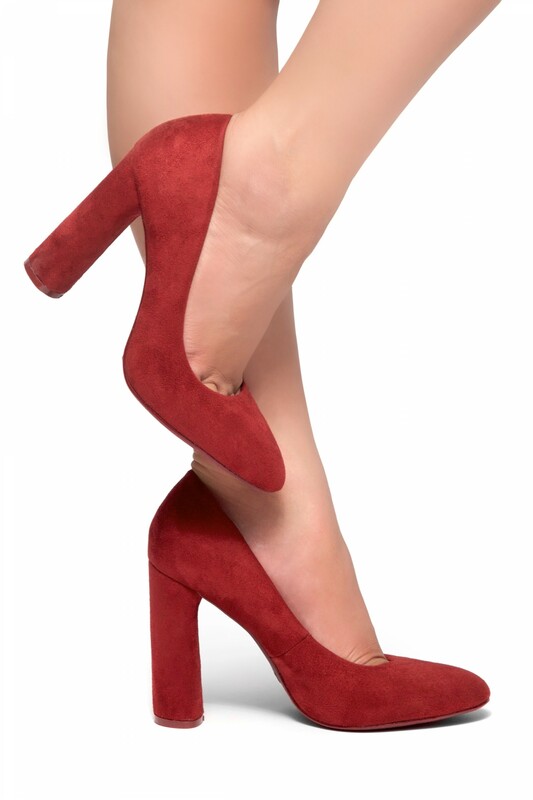 Because we’re going from work-time to play time with your newly obsessed perfect pump! Completely versatile in every way! We’re going from day time to night time in this new pair! CAMYLLA features a suedette fabric, curved chunky heel and rounded toe, and a lightly padded insole for comfort. Available in Black, Beige and Burgundy. I normally don\'t leave reviews on online shopping store and as much as I buy from here I probably should. Lol... The shoes are so comfortable! I can walk all day in them without my feet hurting and they are very stylish yet affordable! Love this so much. I adore the heels height and soft insoles. Would definitely buy again! It is perfect looking and one of a kind chunky heels. I have been complimented multiple times already and only wore this for twice times only. Stylish, fashionable, stable, and in good shape after many times of using it. I love Shoeland forever!